Hey SITStah’s! 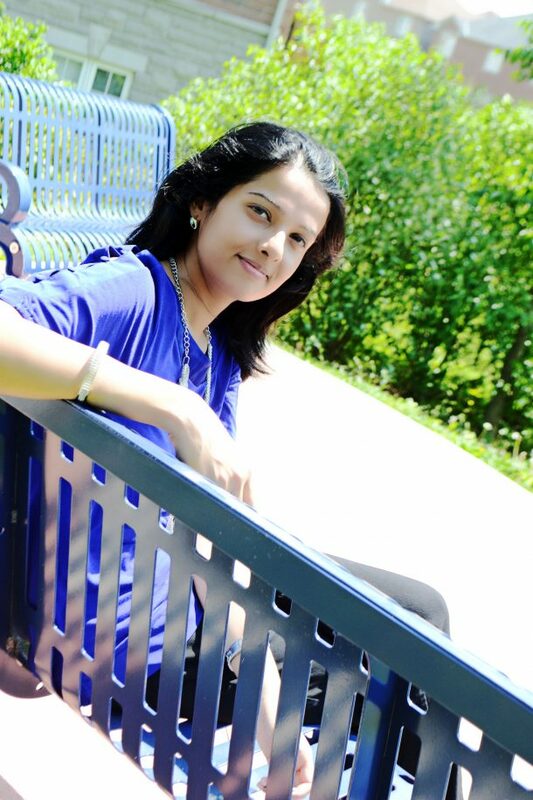 Lets get this day started with our featured blogger of the day. Give A Momless Mom a very warm welcome! Vinma is a Mom of two little ones. She is an Insurance Advisor by profession and a blogger by passion. You will see her mostly blogging about her children and her life as a busy Mom. But at odd times she takes a detour and writes about the life she lived without her own Mom for as long as the memories go back. Vinma also relates about her perspectives on raising children from a cultural stand point occasionally as she was born in India and lived there for the first twenty six years of her life. She is now settled in Toronto with her family. Spicing Up Summer with Barbecue Fish! Go visit A Momless Mom and share the comment love! Make sure to comment below for roll call. Next Post10 Ways to Finding JOY in the Everyday! Very nice blog you have. Hope mine grows into something beautiful. Ok, not to be weird girl, but you are gorgeous! Love your blog & congrats on your SITS day! Happy SITS Day! Can’t wait to check out the BBQ fish! Happy SITS Day! I hope you have a fantastic day! Jumping on over to say hello. Have a great day! Enjoy all the SITS love! Just visited your blog and your FB page. Love them! Thanks for sharing! Love your site! Thanks for sharing. I’m also a Mom to two little angels 5 & 3 years old. Sadly my Mom passed away a little over a year ago and how I wish I had her by my side for advise with their upbringing. Already went and visited your blog – you are a courageous young woman!! Happy SITS Day! I am jealous of your move to Canada! I totally wish I could move there! I love your Blog and have been reading some of your posts, I intend to go back later after the gym and really sink in!! Thanks for taking time to read Jeanine 🙂 It means a lot. Happy Sits day! Beautiful picture of you! Hi Vinma. Happy SITS Day! Barbecue fish? I have to check that out. Enjoy the comment luv. Happy SITS! Eye-opening post about insurance myths. Love your blog design, the blooming tree is pretty. Happy SITS day – hope it’s a great one! Great blog! Can’t wait to read more! Thank you Carissa! I am having an awesome day 🙂 Thanks for stopping by at my blog! Happy SITS Day Vimna! Loved your guest post on A Dish of Daily Life yesterday and enjoyed your comments from my SITS day. Hope you’re having a great day and enjoying lots of LOVE from your SITStahs! Heading over now. Hope you have a nice SITS day! I went by your blog recently! How cool that you’re now being featured! Happy SITS day! I echo the sentiment that I am very intrigued by your navigating this mothering journey after growing up without one. How neat of you to share that process with others, who may or may not have the same perspective! Your blog sounds interesting. I can’t wait to read more. Happy SITS Day. It sure was. I only had time to read a couple of posts – feel like I barely scratched the surface. Can’t wait to read more. Enjoyed reading about the misconceptions and car insurance. I have heard the red car one many times. Love fish that is grilled! So delish! Happy SITS Day to you. I can only imagine it must be a little bitter sweet raising little ones without a Mom of your own. I’m looking forward to reading more of your blog. Enjoy your day in the spotlight! Happy SITS Day SITStah! Enjoy every minute!! Very intrigued by your blog name, can’t wait to read some posts. Happy SITS day. Happy SITS Day! Looking forward to catching up on your blog. Congrats on your SITS day! I look forward to checking out your blog. Happy SITS Day! On my way to visit your blog. You have a nice blog. The tips for grilling are great! Happy SITS Day!